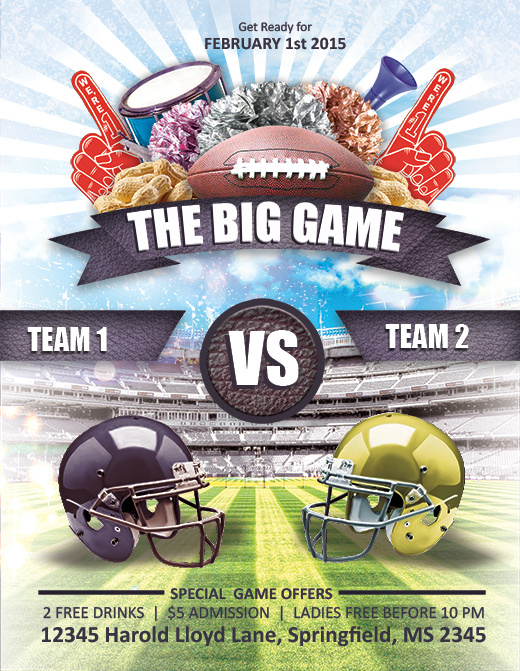 The biggest sports event in the US calendar is just around the corner and NextDayFlyers has a special treat for all you designers and bar owners who need to market yourselves for the big day! 3 of the highest quality PSD and AI templates completely FREE to use in whatever way you wish. Layered and fully editable, these full-size flyer templates were designed exclusively (by me) for your use. Add your own text, logos and images to these layered files and make a super flyer for the super-duperest of sports events!